John Sawoski is pianist and associate musical director for the world premiere of a musical of Jane Austen’s “Pride and Prejudice,” playing now through May 10, 2015 at La Mirada Theatre for the Performing Arts in La Mirada, California. Book, Music, and Lyrics by Lindsay Warren Baker and Amanda Jacobs. The cast comprises Bets Malone as Jane Austen, Jill Van Velzer as Cassandra Austen, Andrew Arrow as Mr. Gardiner, Brandon Andrus as Fitzwilliam Darcy, Mathew D’Amico as Dream Soldier, Eddie Egan as Mr. Bingley, Samantha Eggers as Jane Bennet, Arielle Fishman as Lydia Bennet, Kimberly Hessler as Mary Bennet, Matthew Kacergis as Mr. Wickham, Jamison Lingle as Caroline Bingley, Katharine Kelly McDonough as Kitty Bennet, Patricia Noonan as Elizabeth Bennet, Gregory North as Mr. Bennet, Amanda Naughton as Mrs. Bennet, Jeff Skowron as Mr. Collins, Brian Steven Shaw as Dream Soldier and Leigh Brian Wakeford as Dream Soldier. 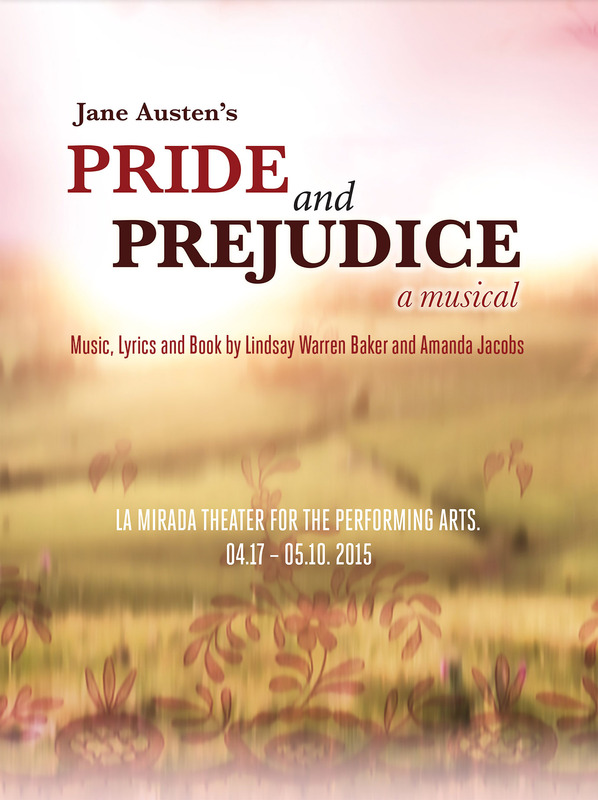 Tickets range from $20 – $70 and can be purchased at La Mirada Theatre’s website, http://www.lamiradatheatre.com/pride_and_prejudice.htm or by calling the La Mirada Theatre Box Office at (562) 944-9801 or (714) 994-6310.